With a background in pregnancy center ministry, Moira first developed a passion for the outreach in the role of client services director at an early medical pregnancy center in Charlottesville, Virginia. She has also served as a volunteer and board member of a pregnancy center in Washington, D.C. More recently, she has been a center director for services located within an urban-based rescue mission clinic and at a satellite based out of a public university’s student medical services in Pennsylvania. 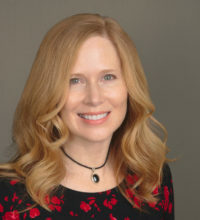 In addition to her tenure at the Charlotte Lozier Institute, Moira’s policy and advocacy experience includes serving as fellow and director of women’s and reproductive health at the Family Research Council in Washington, D.C. She has authored publications on a variety of women’s and children’s health and sanctity of life topics, including having co-authored two in-depth national reports on pro-life pregnancy help centers. She has testified before the Centers for Disease Control and Prevention, American Public Health Association conferees, state legislatures, and public school boards. Moira received bachelor’s degrees in biology and dance from the University of Michigan, Ann Arbor, and a master’s in public health (with an emphasis in maternal and child health) from the George Washington University. Three minutes. The time it takes to make toast, check your bank statement, listen to your favorite song. Three minutes. The time it takes for a pregnancy test to run. Today, January 17, is recognized as Sanctity of Human Life Sunday (SOHLS) by Americans, especially Christians, across the country. The first national Sanctity of Human Life Day was designated as on January 22, 1984, via a proclamation issued by then-President Ronald Reagan. By an overwhelming margin, American women and men report more favorable opinions of life-affirming pregnancy centers offering abortion alternatives, as compared to organizations providing abortions such as Planned Parenthood, according to a 2014 national poll commissioned by the Charlotte Lozier Institute (CLI). One thousand American women aged 18-44 years and 300 men of the same age range were surveyed about questions related to health behaviors, specifically geared towards unexpected pregnancy decisions and care. Overall opinions and impressions about experiences were measured to contrast views towards organizations which provide abortion alternatives at the community-based level and those which offer and refer for abortion. Last month Care Net, a network of over 1,100 life-affirming pregnancy help centers, celebrated its 40-year anniversary at its annual national conference held in San Diego. The mood was jubilant as Care Net recognized the four decades of inspired “compassion, hope and help” members groups have offered to women and men facing challenging pregnancy decisions. Grieving from abortion is an issue that Hispanic men and women living in the U.S. face and will grapple with for generations to come. Cambiado is a needed resource to provide assistance and lead towards healing.